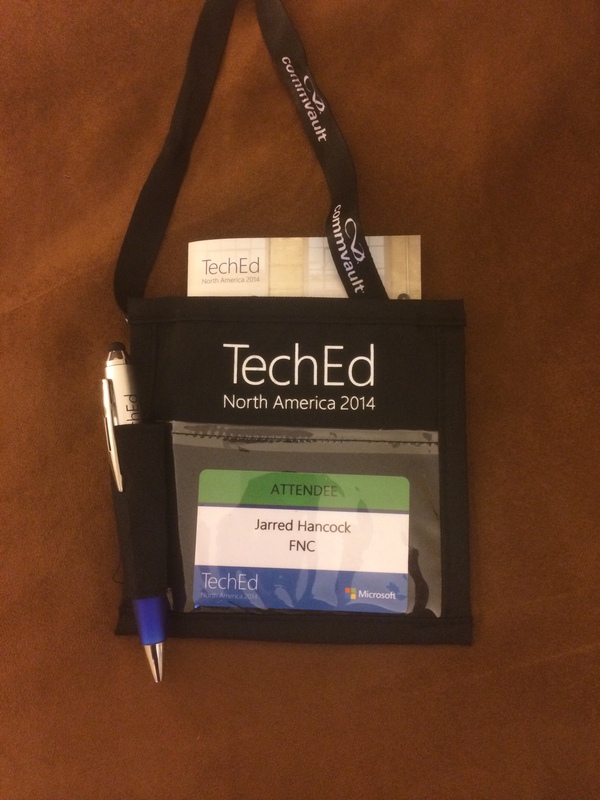 For a week in May, I and several others represented FNC and our respective groups at TechEd 2014. TechEd is a conference presented by Microsoft to market their latest and greatest products, product features, services, solutions, etc. 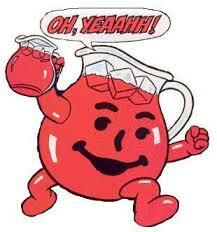 There was plenty of Kool-Aid to go around, getting attendees excited about everything Microsoft. Most conferences play two major roles, training attendees through a series of seminar-like sessions, and providing networking opportunities across the industry. 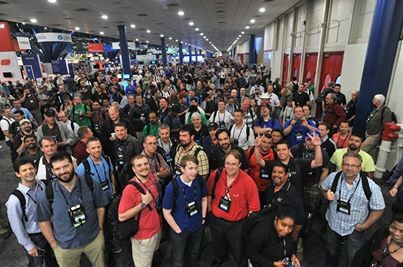 Microsoft TechEd 2014 was no exception. It started with a keynote session exposing some of the major themes of the conference. It then split into fundamental sessions where a track of sessions was described with a brief overview of the breakout sessions that would be available in that track. These breakout sessions covered specific topics and contained the meat of the information to be gathered from the conference. Then, what conference would be complete without vendors? The TechExpo section of the conference allowed attendees to navigate through a sea of vendor booths, allowing them to peruse available products and services. This is where most the networking happens. The vendors lure you in with cool swag like USB car chargers, light sabers, quirky t-shirts, or raffle entries for a drone or Xbox, then the next thing you know contact info is being exchanged and you know another player in the world of Microsoft technology. There were other aspects to the conference, but those were the primary ones. Conferences are usually a good experience for attendees, providing a break from the daily grind of their work and surroundings, and an opportunity to contribute to the company by gathering information. Ideally the information gained at a conference may even make the daily grind a little easier when attendees return to work. In addition, TechEd, like other conferences, tries to encourage fun while you’re there — including, but not limited, to a conference-ending blowout party. This year TechEd rented out Minute Maid Park (home of MLB’s Houston Astros) to provide a great facility for the party. Inside, awaiting the attendees, were complimentary drinks, concessions, bands, and several other activities. TechEd was surely designed as a good time for all. So that covers the basics, but what about the details? Well the experience and the information one brings back from TechEd will vary based on one’s role, sessions attended, etc. To provide hopefully several experiences from different roles, www.softwareunwound.com will post a series of entries with a look into TechEd and the information FNC attendees gathered there. The first installment in the series will be mine. I am a software developer at FNC in the CDNA department. I am currently working on web applications so my focus at TechED was on that. Below, I describe my view of TechEd, and more importantly, the information that I found useful and brought back to my team. So the overall theme of Microsoft TechEd 2014 was Cloud, Cloud, Microsoft Azure, Cloud — oh and make sure to use Microsoft Azure. While the Azure stuff was impressive, why pay someone else for hosting when we already have awesome data centers? At which point if you are a SysOps guy, the Tech Expo was like a giant candy store with all the servers, gadgets, and management software needed to build and/or run your own cloud. But what about us developers? There had to be something for us. With few gadgets marketed to me, I focused on the breakout sessions to gather knowledge. With a large selection of sessions to choose from, which ones should I go to? Luckily the Foundation Session helped to give an overview to the developer track of sessions. It’s a good thing because my goal in this adventure was to find out things I didn’t realize I didn’t know. Not that I’m an expert on everything, but realistically you can only learn so much in a session that lasts just over an hour. The best thing I could do was to see what piqued my interest so I could follow up afterward. So with the Foundation Session under my belt, I took another look at the schedule, and two major themes appeared that I wanted to look into. One was the future of the .NET on the server and the other was performance and load testing/tuning using Application Insights. So the future of .NET on the server — the great unknown — this is the information that will let me know what I will likely be working with in the next few years. This was perfect — exactly the type of information I was looking for. While a lot of details were explained, and even demonstrated, there were a few concepts that I really focused on. The first is that everything is going modular, and there is a “Bring Your Own” mentality. Microsoft will provide all the tools you need; if you want to customize or replace something, you will be able to. The next thing is that the framework is now server agnostic and not tied to IIS. You will be able to run one app in IIS, and another from a command line tool, or whatever. A side effect of all of this is that you can run multiple versions of the framework side by side without server installs and reboots. Since the framework is also open-sourced you can even customize the framework for your needs and use that. There is a lot of flexibility and power in this architecture. Another key piece to the future of .NET is the new “Roslyn” compiler. Its in-memory compilation unleashes great tools for web developers, especially. Now you will be able to change server-side code and simply refresh your webpage to see the latest updates. No more waiting on recompile and restarting of the app. The compiled code is simply replaced in memory on the fly. There is no telling how much time that will actually save me over time. So let’s just say I like the future of .NET for us web developers. The other important concept I sought out in sessions was how to do performance tuning and load testing to make stable and reliable apps. Application Insights seems focused on this, providing a view into logging for developers who seldom have access to production logs in an enterprise environment. This allows developers to see bottlenecks in performance or a trend of errors so they fix them before they become major issues. Combine Application Insights with Visual Studio 2013’s new features of web tests and load tests, and developers will have even more tools at their disposal for finding the weak points in their code. There are plenty of implications for site monitoring and for the testing process, to be sure. Incorporating these new tools could fit nicely into the project lifecycle and even in continuous integration. For any sort of high load / business-critical type of site / app / service, I would highly recommend looking into these tools. If you are performance-minded there are new tools available for you. In conclusion, nothing that I would consider huge was announced at TechEd, but Microsoft continues to provide solid tools and technology for developers. I was able to learn a few things and feel better prepared to tackle issues knowing a few more solutions are available out there thanks to my participation in TechEd 2014, and I hope to return for TechEd 2015.